The past came back to haunt several people in Blue Bloods Season 6 Episode 13 and while some will most likely end up in prison, others were banished to Staten Island. As much as I enjoyed this episode, it felt as though it left several of the stories at loose ends. Take Tim Harrison. Lt. Tim Harrison immediately came across as bitter and resentful. He didn’t like that he was forced to take mandatory retirement. He wasn’t happy about the state of the city and he really didn’t like Frank Reagan. Just because Frank didn’t like the man didn’t mean he didn’t care, and I was surprised that Henry would say such a thing. That Tim was racist was only hinted at until Frank basically came out and said it so that Henry couldn’t shy away from the truth. And as much as being transferred to Staten Island felt like a punishment, Frank did it because he believed that was where Tim could do the least amount of damage. Unfortunately, one drunken night on a subway car changed that. Tim was the kind of guy who blamed everyone else for things that went wrong and couldn’t see another point of view if it bit him, yet Henry still tried to support him, even after he showed up at the courthouse with a gun and put Erin in harm’s way. Even Frank held out one last lifeline, encouraging Tim to take a plea deal. I only wish we found out if he eventually relented and took it or went to trial. I’m truly curious how that all turned out and disappointed we didn’t get to see it. Elsewhere, Baez came face to face with Octavio Nunez, the man who stomped someone to death right in front of her when she was only 10-years-old. As much as it was great to see Baez confront Nunez and finally come forward as a witness, it left me wanting to know more about her family drama. Baez sister blamed her for their brother being killed. Did her mother feel the same way? With a reception like that I can understand why she doesn’t drop in more often. This story presented us with a brief insight into Baez’s family but it left me wanting to know more. Finally we get to Jamie and Eddie. That training scenario was truly scary. I honestly thought that Jamie had shot that civilian. Sgt. Ray Langley was definitely walking the line by dating the women he was in charge of training but I was curious to find out if his attitude towards Eddie, or the scores she got in future training changed after she turned him down. The story never got that far. Eddie was obviously uncomfortable, but I wasn’t thrilled that Jamie felt the need to ride in and play hero. The female officers should have confronted Langley together. Having Jamie do it made it feel he was Charlie and those were his Angels in the tight dresses at the bar. And having Langley continuously accuse Jamie of having feelings for his partner made me wonder what the focus of this storyline was supposed to be: harassment and inappropriate behavior or Jamie’s growing feeling for his partner. Despite all of those plot holes, I did enjoy “Stomping Ground.” The characters are just that likable that it's hard not to enjoy an evening with the Reagan family. 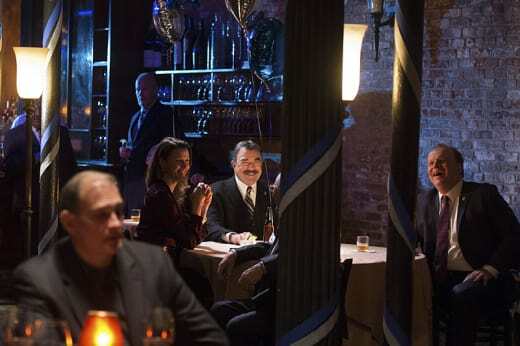 If you can’t wait for more, you can watch Blue Bloods online here at TV Fanatic. 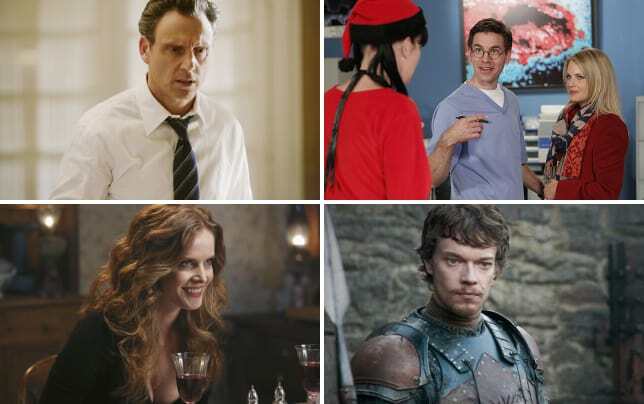 13 Characters Who Need To Be Killed Off...Now!